The Movement of Asylym Seekers in Ireland (MASI) has called for a protest outside the Eyre Powell in Newbridge on July 6 if a rule restricting night time mobile phone and electronic device usage at the direct provision centre is not withdrawn. The group visited the Eyre Powell centre last weekend and spoke to some of the residents about the curfew. It said the residents feel that those who are studying and want to do their school work during this time are deliberately been deprived this right. “This all started with two roommates who had a disagreement with the usage of the phone,” it said. 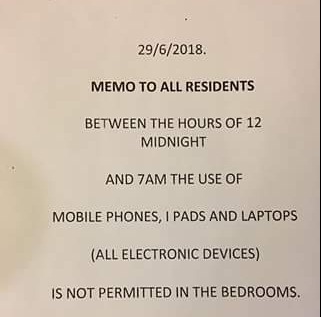 A notice was then delivered to all residents stating the use of all electronic devices and phones was not prohibited between 12 midnight and 7am. The MASI said this could have been sorted out between the residents in question, and not applied to everyone. Following an article in the Irish Times and the campaign by the MASI, another notice was issued by earlier today. 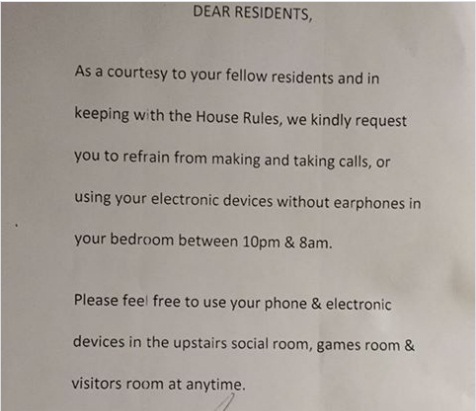 It asked residents to refrain from making and taking calls in their bedrooms without earphones between 10pm and 8am. It said residents could use their devices in the upstairs social room, games room and visitors room at any time. However, the MASI said this was not enough. When contacted, the manager of the centre told the Leader to contact the Reception and Integration Agency for comment. The Leader has contacted the agency but cannot get through at present.